The death rate from opioids continues to increase across the United States. But in Oregon, it has actually decreased over the past few years — by as much as 25 percent. So, what’s Oregon doing differently? One of the first ways Oregon started reducing its reliance on opioids was through education. Xiao-Hue Han is a fourth-year medical student at Oregon Health and Science University in Portland. He was shadowing a doctor at a hospital recently when a patient came in suffering from pain. 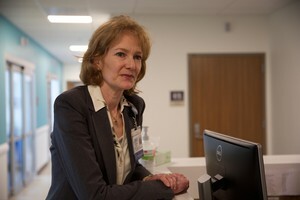 The patient had experienced gallbladder surgery a couple of months earlier. “I was like, ‘Oh, this person seems entirely reasonable. [He] sounds like he’s in pain. We should treat his pain,’” Xiao-Hue said. But the doctor Xiao-Hue was shadowing pulled him aside and pointed out the patient was most likely drug-seeking because surgery pain doesn’t typically persist. “I didn’t have the sensitivity or knowledge then to realize that incisional pain, that requires analgesia like an opioid, resolves within a couple of days to a week,” he said. Xiao-Hue and other students are being taught to follow the Centers for Disease Control and Prevention’s updated opioid prescribing guidelines. The updated guidance, released in 2016, says opioids work well for short-term pain, like a broken leg. But they aren’t effective for treating long-term pain that tends to persist, like some types of back pain. But it can take time for doctors to learn and implement new prescribing guidelines. Livingston said Oregon’s medical community didn’t want to wait 17 years, so it created a task force to quickly put the guidelines into practice. “Changing clinic policies is an incredibly powerful way to do this, so making sure that the whole clinic or health system is aware of what those guidelines are, [then] providing data and feedback to providers,” she said. That feedback comes in the form of the prescription drug monitoring database. It’s an electronic database where doctors can see whether a patient is shopping for opioids at other clinics. It also allows a doctor to see just how many opioids they’re prescribing, compared to their peers. Such steps and others, like continuing pain management education and properly disposing of unused pharmaceuticals, are all credited with reducing prescribing rates by 20 percent over the last few years. Oregon doesn’t want to slip backward after reducing deaths associated with opioid use, so it’s not losing sight of how the epidemic began. Most people point back to the 1990s when manufacturers first assured doctors that opioids were not habit-forming. “We didn’t know that they had such a potential for addiction and such a potential to cause disarray in people’s lives,” Livingston said, so they were more relaxed about prescribing them. Livingston said prescribing rates increased again in 2001 after a California jury found a doctor liable for not providing patients with enough pain relief. Other doctors didn’t want to be sued, so they prescribed more. Then, to compound the problem, the organization that accredits hospitals and clinics — the Joint Commission — championed the idea that pain was the fifth vital sign, like temperature and heart rate. Doctors also figured that just like any other vital sign, they had to bring a patient’s pain level back to normal. All those factors meant that prescribing rates climbed so high that people were given a month’s worth of pills after only a minor procedure. On average, one Oregonian is now dying from an opioid-related overdose every other day. The American Medical Association has since dropped pain as a vital sign. But there are still millions of Americans living with chronic long-term pain, and prescriptions for opioids upon which they’ve come to rely are being reduced. 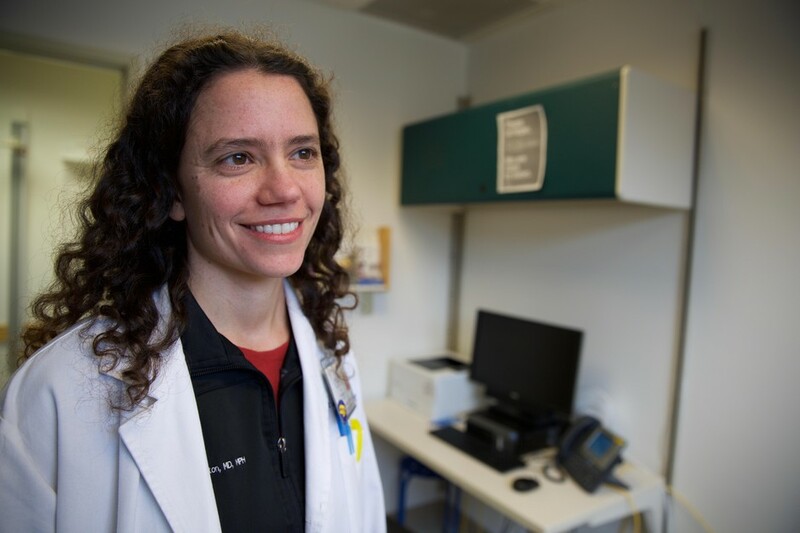 Dr. Catriona Buist, the chair of the Oregon Pain Commission, said they’re now teaching patients to better cope with pain by managing it with alternative treatments like acupuncture, sleep and physical therapy. 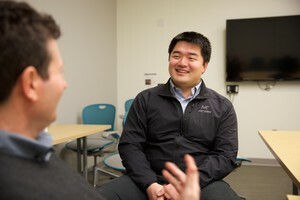 “These therapies are extremely effective, especially if the person really is taking a self-management approach and putting into work what they’re learning,” Buist said. She said alternative therapies are more work for patients than taking a pill, but Oregonians appear to be adapting. She said the next hurdle is to get insurance companies to cover alternative therapies as readily as they cover opioids.